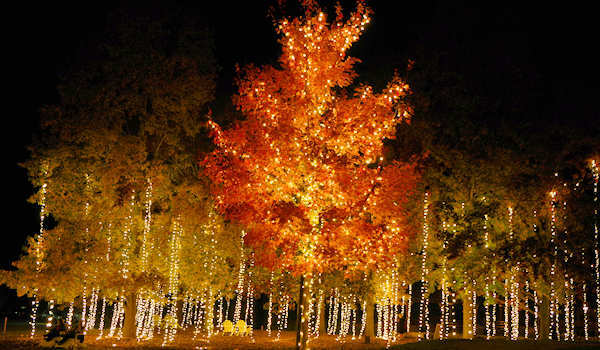 Where to see the best Christmas light displays in Asheville and the Western North Carolina mountains? Here are our favorite places - including many new and expanded shows. 1. Winter Lights (photo above): Walk through 500,000+ lights that cover the garden areas of the North Carolina Arboretum in south Asheville. It's bigger than ever and offers much more than lights. Many nights sell-out, so get tickets well in advance. Read all about it. 2. 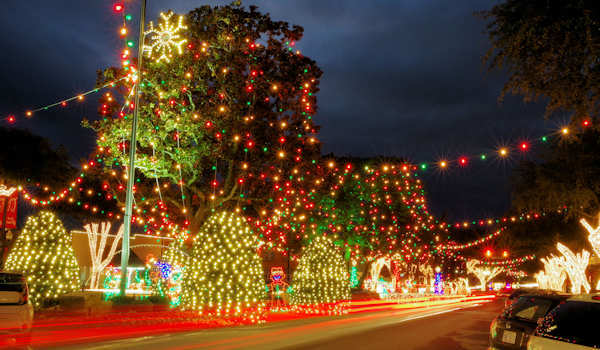 Forest City: The biggest public, free Christmas light display glows with 1 million lights covering trees and draped across Main Street in this small town about 60 miles from Asheville. It's worth the drive! It begins on Thanksgiving night. 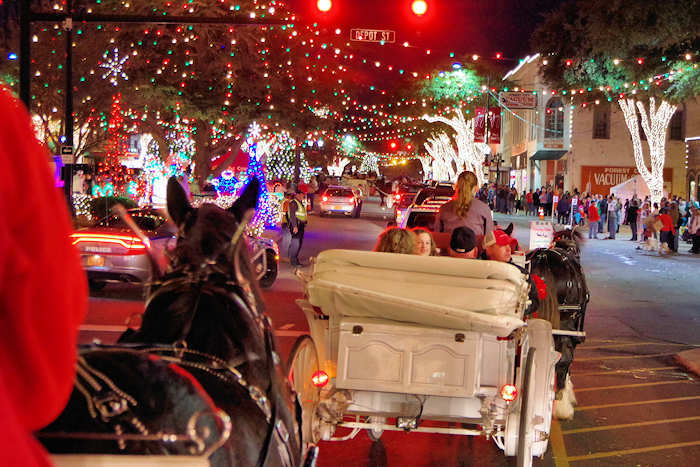 Weekends bring wagon rides and horse-drawn carriages. Read more. 3. 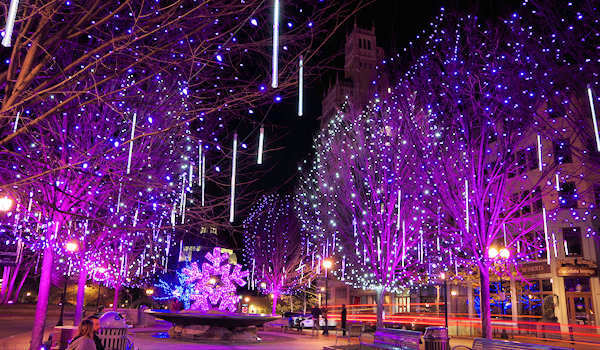 Downtown Asheville: Find even more lights in downtown Asheville this year - including the giant snowflake at Pack Square and more lights in Pritchard Park (67 Patton Avenue). Sit on the benches under the trees with dripping icicles. See things to do Downtown. 4. 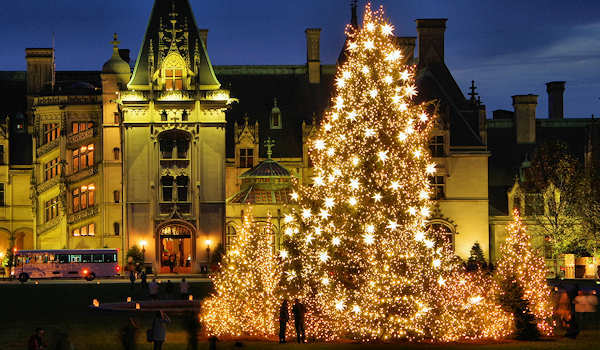 Biltmore House Candlelight Tour: An evening tour inside this famous castle glows with candles and lights of 50+ Christmas trees. On the front lawn is the biggest tree of them all, a 55-foot Norway spruce with 45,000 lights and surrounded by many smaller trees. Walk between the trees to be surrounded by lights. It's a great selfie spot. 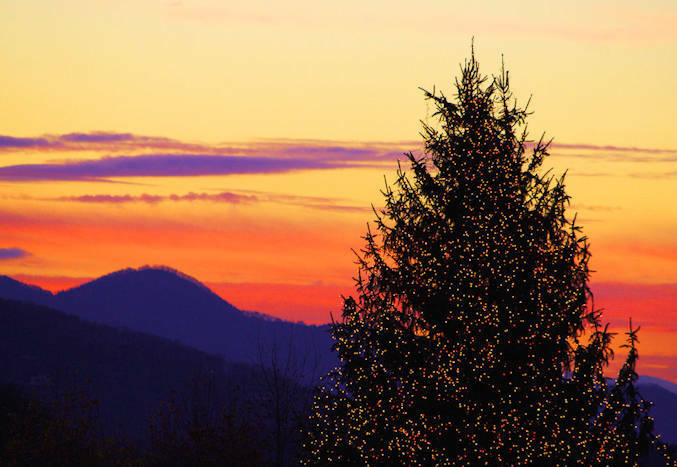 Read about Christmas at Biltmore tours. 5. Antler Hill Village: Biltmore has expanded the outdoor light show covering trees and buildings at Antler Hill Village on Biltmore Estate. Home to the popular Winery, it's a great place to visit after your house tour. It's included with the estate admission. Read more about it. 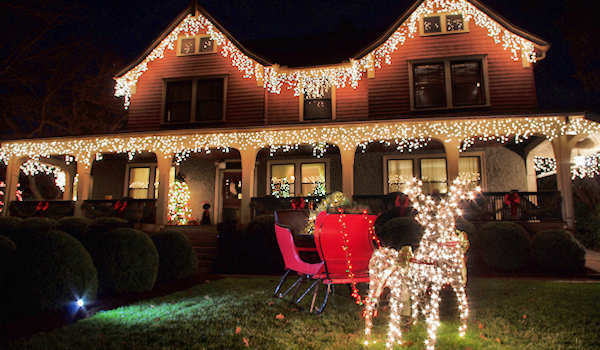 6: Montford Historic District: Our favorite neighborhood to look for decorated houses is just north of downtown Asheville. Drive Montford Avenue past several grand bed and breakfast inns (like Inn on Montford above). Read more about Montford. 7. 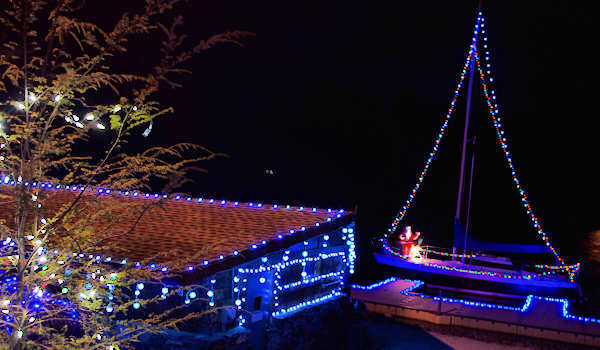 Lake Julian Festival of Lights: A longtime local's favorite holiday tradition is this drive-through light show in a county park in south Asheville. It begins on December 1st with a walk-through night. Read all about it. 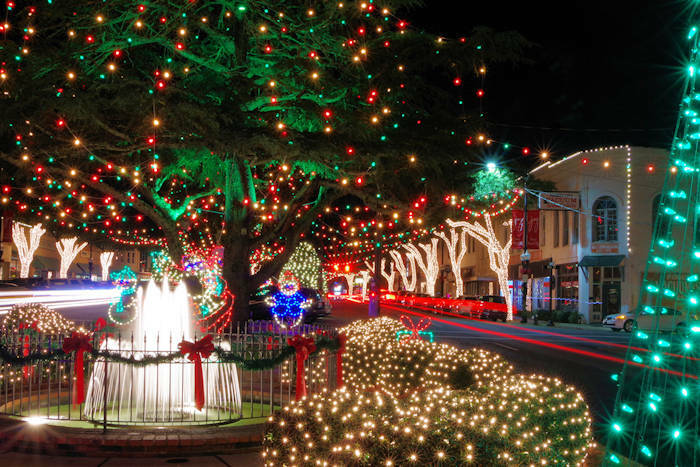 Also see our Top 12 Christmas Towns for the best Main Street displays. More to come!